Healed of Cerebral Palsy, Etc. 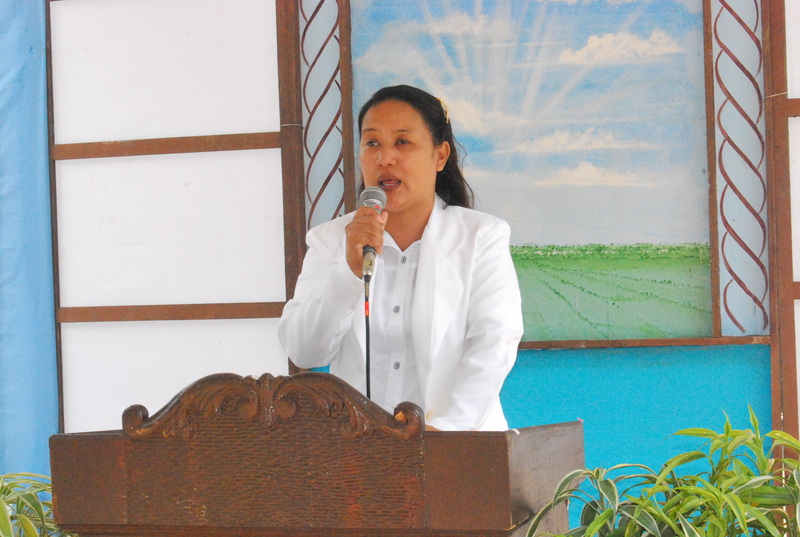 When I heard the testimony of Sister Delia Carencia, I was sure I wanted to write about it. Once again in this blessed testimony, the Lord Jesus has proven that he is the greatest Physician. When the eldest son of Sis. Delia was only three-days-old, he was diagnosed with cerebral palsy, his heart was too big for his age, one of the main veins of his heart was blocked, had abnormal heartbeat, asthma, post-polio of his whole left body, and scoliosis. Sis. Delia brought her infant son to different specialists in the hospitals in Metro Manila hoping to find cure for her diseased baby. She also became zealous in visiting churches, walking from the entrance to the altar on bended knees. She went to places wherever she heard of someone or something that heals miraculously. But in the 17 years that they sought, hoped and waited for her son’s healing, they failed. The head neurologist of the Pediatrics Department of the Philippine General Hospital told Sis. Delia that there was no hope for her son. Also the orthopedic doctor informed her that if the angulation of her son’s spine became 40, he will become a vegetable. At that time, it was already 32. A major surgery on her son’s spine was proposed to straighten it. They were going to open up his back from nape to below the waist. But when Sis.Delia asked what were the chances of her son being able to walk again, the doctor replied that if the surgery was successful, he could walk again, but he could not give the assurance that the boy would be able to endure the pain during cold months. And if the surgery failed, he would not be able to walk again and would remain vegetable the rest of his life. The doctors also warned that if he skipped in taking his medicines, this would greatly endanger his life. Because the medicines were very costly and Sis. Delia had three other younger kids, she tried to stop giving him his medicines but this made matters worse for he had to be brought to the hospital and had to stay there for many days. Sis. Delia testified that for 17 years, there wasn’t a month that her son was not admitted in the hospital beside the weekly therapy at the Philippine General Hospital in Manila. It was a long commute since they lived in Olongapo City. But when they were invited to the worship service of the JESUS MIRACLE CRUSADE INTERNATIONAL MINISTRY and he received the Lord Jesus Christ and was baptized in water in His name, all his diseases were miraculously healed by the Lord! Ever since that day, he stopped taking his medicines and it has been ten years since he obtained God’s healing. The curvature of his spine became normal, he regained normal strength and balance and now, he walks and runs and rides the bicycle! The excruciating pain in his back that he used to suffer was completely gone. Now, he plays the tambourine in the outreach of Olongapo City. Sis. 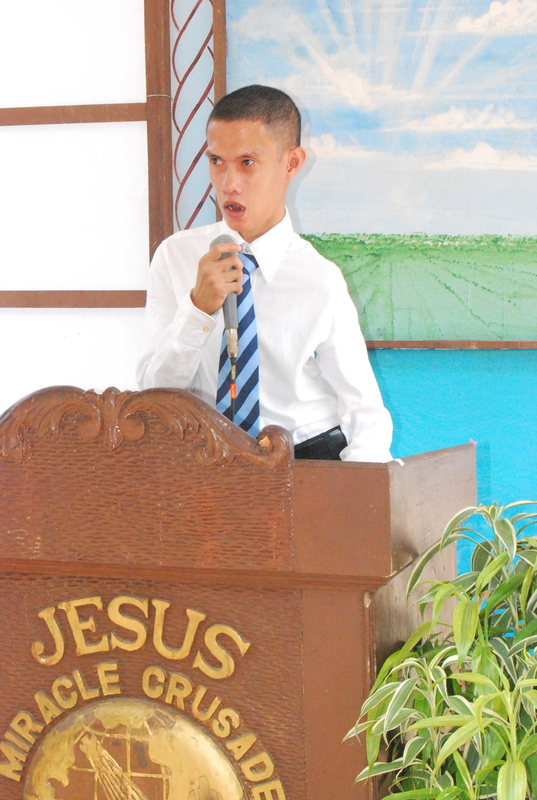 Delia Carencia's son also testifying in the pulpit.